Dr. Afryl received his B.S. from Loyola University in 1976. He then went to the Illinois College of Optometry and graduated with his Doctor of Optometry in 1980. 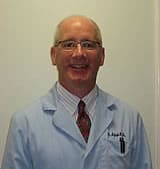 Dr. Afryl has office hours at our Downers Grove office.